The sustainable Future Framework is how Council does business. It is based on the Integrated Planning and Reporting principles embedded in the Local Government Act but considers every document that guides the way Council operates as part of the framework in addition. As a community it is important for us to have a document that defines how we want to grow into the future. We also need to outline what we want and need as a community now. This document is called a Community Strategic Plan. The Community Strategic Plan guides us all in how to achieve these goals and how we can measure if we are on track or not. This document is us. This document is Wagga View - 2040. The Resourcing Plans consist of three components, the Long Term Financial Plan, the Workforce Plan and the Asset Management Plans. The Long Term Financial Plan outlines the future finances of Council's operations taking into consideration key elements such as rate movements, service levels to our community major infrastructure, assets replacement and renewals as well as borrowings and cash reserves. The Asset Management Plans provides tools to assist Council's decision making on infrastructure funding needs, the impacts of budget decisions into the future and the resourcing requirements needed to meet agreed levels of service delivery. The Fit For the Future Council Improvement Proposal outlines how Council plans on becoming Fit For the Future over the next 5 years. 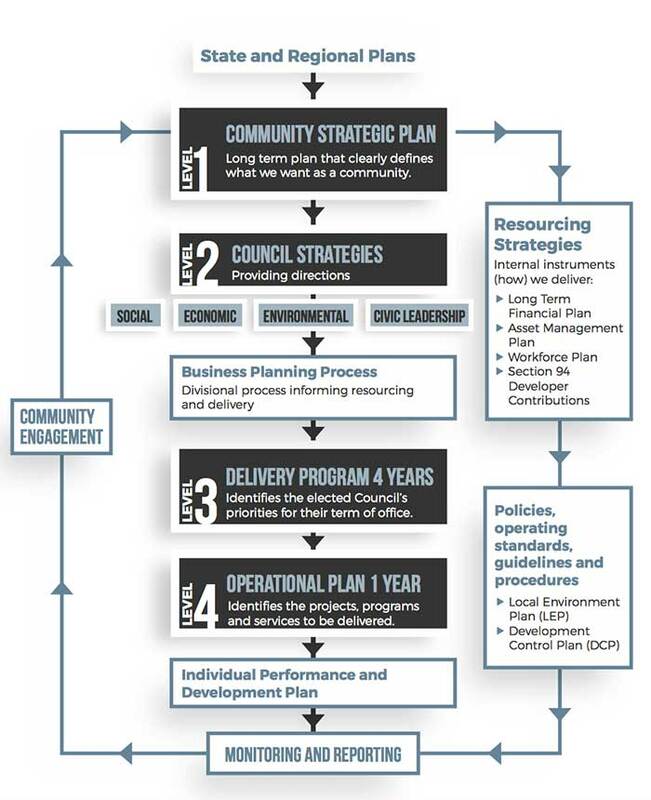 This document is Council's response to the Fit for the Future local government reform package announced by the State Government in September 2014. The Integrated Planning and Reporting framework requires Council to report on its progress in delivering its plans. Our Reporting to our Community page contains the reports that record our progress: Quarterly, Annually, and at the end of each Council Term.